A book-loving friend caught me after school a few weeks ago with this beautiful tome in her hand. I snagged it quickly and brought it home anticipating an excellent read over the Easter weekend. I love a good who-dun-it thriller, and the cover of this book is just exceptional - wouldn't you agree? When I glanced through the first page I was even more excited: the writing was fabulous. Aaahhh, I sighed to myself. A well-written thriller that's also set in Australia (bonus!) and written by a woman (double bonus). The anticipation was high. Spoiler alert: I was disappointed. First, the things that didn't disappoint. The writing continued to be superb. The tension built beautifully. The way Harper switched between characters and scenes, from the events of the hike to the events afterwards, were seamless and smooth. I liked the characters - they were well-drawn and realistic for the most part. The action was terrific, and the surroundings of the hike was beautifully done. You could feel the temperature and atmosphere in that forest. Sadly, though, even with all these great things going for this book, I felt let down at the end. I also feel terrible for saying it because I know writers google for reviews of their books (okay, so I google for reviews of my books), and one day Jane Harper may even read this. Jane, if you're reading, I really did think it was great. It's just, well... let me explain. My issue was with the story. It started out with the disappearance and presumed death of highflying, middle-aged Alice, out hiking on a teamwork bonding expedition for her work. She is presented to us first up as a whistleblower, exposing organised crime and money laundering done by her very upright financial firm. Later, we see that she's also not a very nice person, and unpopular at work. The immediate question is: who got rid of Alice? Did the organised crime people find out she was about to expose them and do her in? Did her boss, who had a lot to lose, orchestrate the whole expedition so that it would be easier to knock her off? Did her long-suffering assistant, finally reach her tipping point and teach Alice a lesson? Or was it the assistant's twin sister, with a drug-affected past, trying to get her revenge on the world? Perhaps it was the mysterious son of the serial killer who used to roam the national park twenty years ago? All of these people have motive and opportunity to make Alice disappear, but who was it? 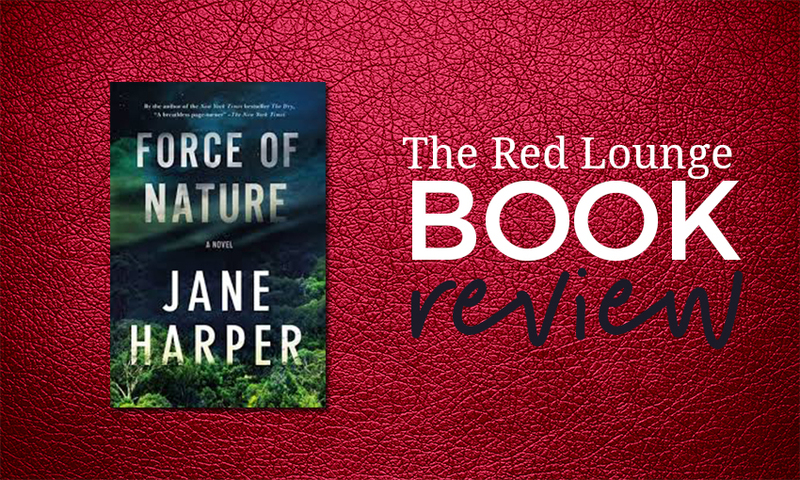 There are hints, allegations and mysteries presented to us all the way through, and the tension built so effectively that I was on the edge of my seat (well, okay, my very comfortable bed) trying to figure it out before the two fictional cops did. Basically - and sorry if you haven't read the end yet - the women get lost in the woods, get pretty annoyed with each other, and have a bit of a biff. Alice goes down, and never really gets up again. So I was disappointed. With all that build up, and all those expectations, I wanted more plot from that story. More conflict, more drama, more secrets. More organised crime and serial killing, basically, is what I wanted. Students of our memoir course learn that the crisis point of the story is the most important thing. It occurs at about the three-quarter mark, and comes after a good set up and effective build up of tension. The crisis point of a story is made up of a gathering of strength and resources, and a showdown. The questions that have been set up must be answered. Technically, I suppose Harper did this. But it was disappointing because with all those options in the set up, and all that build up, we readers expected more than the death simply being an accident. The take-home lessons for writers are these: don't promise more than you're going to deliver. And, deliver what you promise. Make your crisis work for you, and give the readers what they've been anticipating. Use Pinterest? Pin this review and share with your friends. Writing a memoir? Check out our FREE Memoir Mini-course to get you started. The very first line of this memoir grabbed me by the throat. In that first chapter author Jeanette Walls contrasts her successful career and life in New York City with her homeless mother, cheerfully living by her own, unique set of values. Immediately we are drawn into the over-riding question of the book: how did this come about? Jeanette takes her mom out to dinner after the dumpster sighting, hoping she might be able to help her out a little. Right there, we meet the alternative world view and values of Rose Mary Walls, and her husband Rex. The rest of Jeanette’s story tells the tale of her turbulent, crazy, joyful, tragic childhood living with Rex and Rose Mary. I promise you, your mouth will drop open in the first chapter and won't close until the last. I loved this memoir; not only was it an intriguing story, but it was well told. If the first line of chapter one was great, the first line of chapter two, and what follows, is almost better. It’s my earliest memory. I was three years old and we were living in a trailer park in a southern Arizona town whose name I never knew. I was standing on a chair in front of the stove, wearing a pink dress my grandmother had bought for me. Pink was my favourite colour. The dress’s skirt stuck out like a tutu and I liked to spin around in front of the mirror, thinking I looked like a ballerina. But at that moment, I was wearing the dress to cook hot dogs, watching them swell and bob in the boiling water as the late morning sunlight filtered in through the trailer’s small kitchenette window. Most of Walls’ opening lines to chapters and sections are strong. She’s cut out the fluff and gone with statements that shock or surprise. We were always doing the skedaddle, usually in the middle of the night. Back in Battle Mountain, we had stopped naming the Walls’ family cars because they were all such heaps that Dad said they didn’t deserve names. One day while Brian and I were out scrounging around on the edge of our property, he picked up a piece of rotting lumber, and there among the pill bugs and night crawlers was a diamond ring. The next evening, Dad disappeared. That fall, two guys showed up in Welch who were different from anyone I’d ever met. Wall’s chapter endings are just as good as her beginnings. What about these? While I was sitting there talking to Ginnie Sue, I’d even forgotten she was a whore. One thing about whoring: it put a chicken on the table. I could hear people around us whispering about the crazy drunk man and his dirty little urchin children, but who cared what they thought? None of them had ever had their hand licked by a cheetah. The overwhelming feeling from the whole of the book is one of love. Jeanette truly loved her parents, as irresponsible as they were. They lived according to their own rules, and, at least at first, they created adventures for their children which were indeed magical. 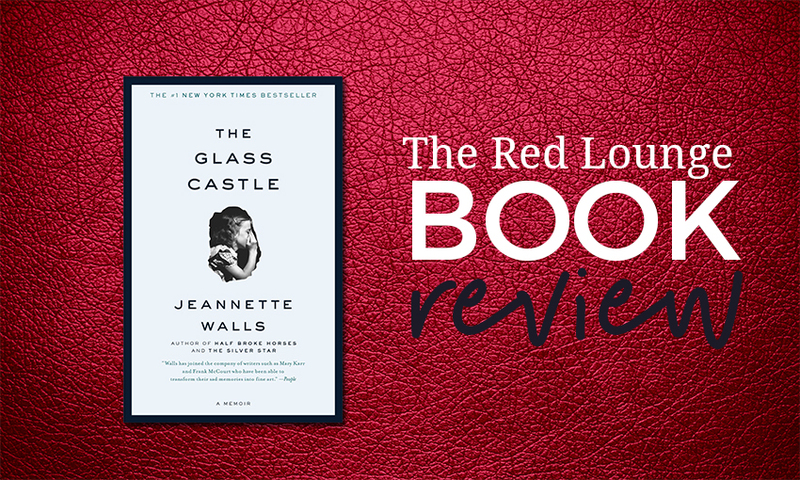 ‘The Glass Castle’ was the house that Rex promised he would one day build for the family, out in the desert. The glass was so that they could see the stars in the sky. Of course, it would never happen: Rex’s alcoholism and his inability to stick to any kind of income-producing activity meant that he was always chasing dreams. But as a child, Jeanette believed wholeheartedly in him, and in the whole family. This strong feeling of love is conveyed well in the writing because Jeanette always tells the story from the point of view of innocence, rather than the older, more mature voice of experience. She tells us what she saw, experienced, thought and felt, as a child. She shows us her parents and their behaviour, shows us her love for them, and then lets the reader draw their own conclusions. She never writes what happened from her adult point of view. As the character gets older in the book, we begin to experience the heartache and disappointment she experienced as her eyes were opened to the realities of her parents’ unreliability. This is a good memoir to read if you’re attempting to write a memoir that begins in early childhood. The structure runs in a fairly smooth trajectory up until 2/3 point of the book. At this point, the characters are mid-teens, and are really beginning to feel the cold, the hunger and the alienation from society that extreme poverty brings with it. The stakes are raised as Rex drinks more and more, and Rose Mary can hardly get out of bed to go to work. The children are smart and talented: will they have to stay in the no-good town they’ve been thrown into? Is there any way out? The breaking point (and the lowest point) for the children comes when Rex steals the money they have all worked for and saved up for more than year. This is when they know that they must make the break from their parents and strike out completely on their own. Jeanette doesn’t just tell us that when she and her brother were hungry, they had to look through bins for food. Instead, she gets very specific about what they found. It’s specific details like these that give the story its colour and life. I loved this memoir, and if you’re looking for some inspiration for your childhood memoir, whether it’s happy or tragic, definitely read The Glass Castle. The world agrees with me that it’s a good book; it’s won awards, sold millions of copies, and been translated into 22 languages. It’s also now a film starring Woody Harrelson, which I’m just going to have to see. Looking for more help with your memoir? Try our free mini-course right here. Serious about starting your novel? Here are three things that will immediately make your writing better.